Michael Stephens, M. D., discusses a recently published article in Inflammatory Bowel Diseases about the course of early-onset pediatric inflammatory bowel disease (IBD). Children with IBD need to be treated differently than adults, and doctors need to understand why IBD behaves differently in children than adults to develop better treatments. A group of 14 Italian pediatric IBD programs formed a consortium for this study. The researchers identified every child they diagnosed with IBD and followed them for a minimum of six months. They looked very carefully at how the IBD behaved and found 11% of the children in the study with IBD were under the age of ten. The study also identified that the distribution of the disease and its behavior is different and more severe in children than adults. 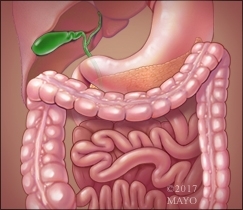 Ulcerative colitis is more likely to involve the whole large intestine in children, and Crohn's disease is more likely to only involve the colon in children. This can create some challenges for the physicians. It's very important to identify whether a child has Crohn's disease versus ulcerative colitis so the right course of treatment can be identified. Why is this study important? It tells physicians adult models shouldn't be used to treat children. IBD is a different disease in children and it's important to understand the mechanisms that drive the disease. Treatments available now can be used more effectively and with research, newer treatments tailored for children can be identified. This informational study shows how researchers use their resources and people are now beginning to focus on how to understand what is different about IBD in children.